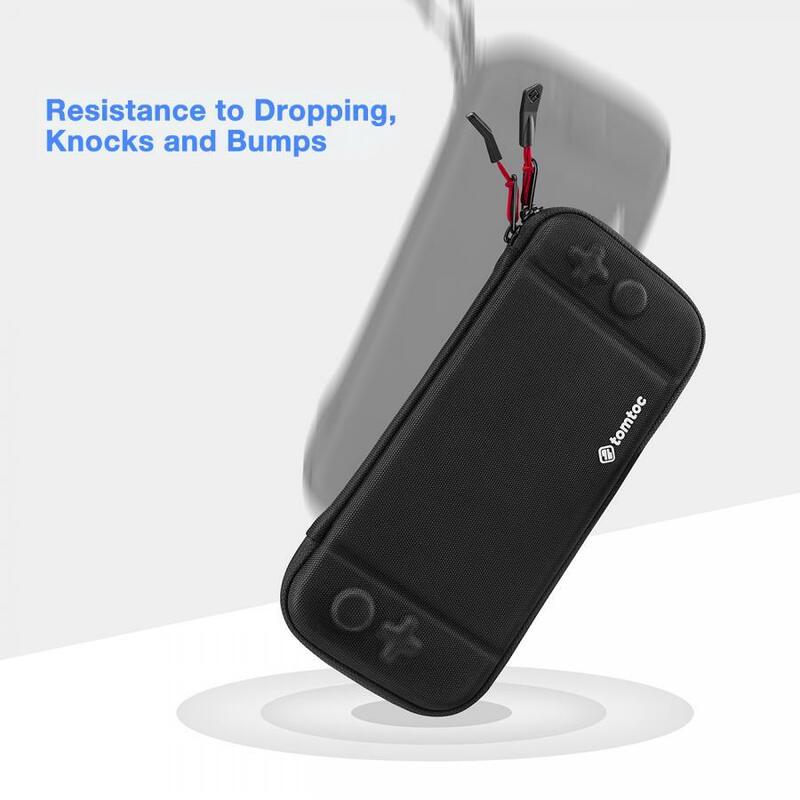 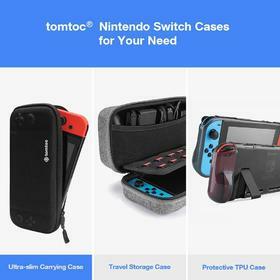 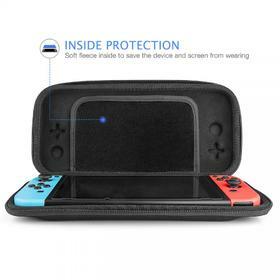 Tomtoc Nintendo Switch Protection Case - Gamers take gaming seriously. 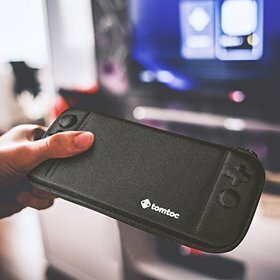 That's why we have produced this lightweight yet stylish and durable case custom-made for protecting and transporting your device. Deluxe, high-end design and top-quality materials combined with practicality make this an essential purchase for the dedicated Nintendo Switch advocate. All-round Protection - The EVA hard shell protects your device from everyday knocks and bumps, as well as any damage that may be incurred by accidental dropping. 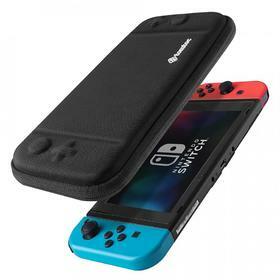 The outer material is an innovative, high-quality cloth which ensures a comfortable hand grip, while the interior is fashioned from specially-produced flannelette, which prevents any scratches to both the device and the screen. Portability and Usage - The case itself is just 4 cm thick, making it much slimmer and lighter, and therefore much more economical and practical than many similar products. 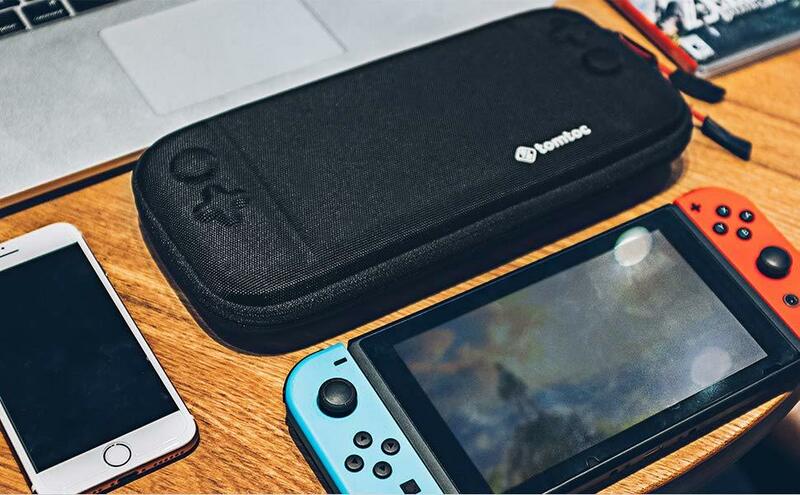 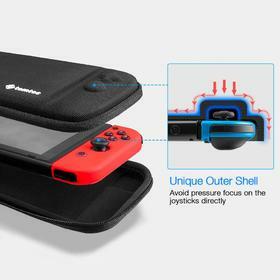 The case comes complete with a storage sheet which can accommodate up to eight additional game cards, and an extra accessory pouch to carry and store chargers, adaptors, and other accessories, making it an even more essential purchase. 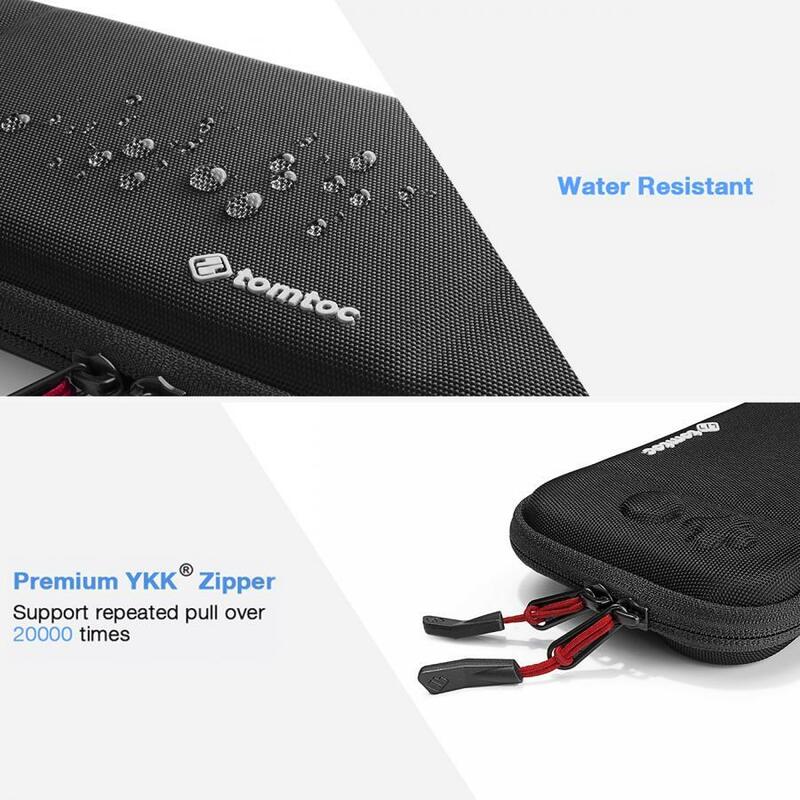 Little Parts, Big Difference - The case incorporates a premium-quality YKK zipper and pulling head to further protect your device and ensure a smooth, reliable action every time you open or close it. 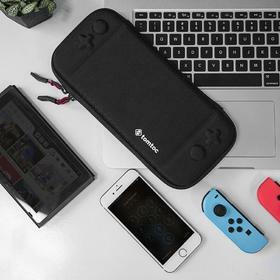 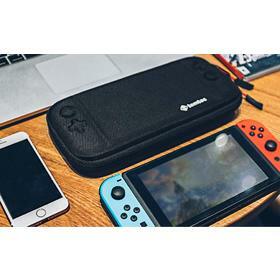 Comes complete with a storage sheet which can accommodate up to eight additional game cards, and a extra accessory pouch to carry and store chargers, adaptors, and other accessories making it an even more essential purchase. 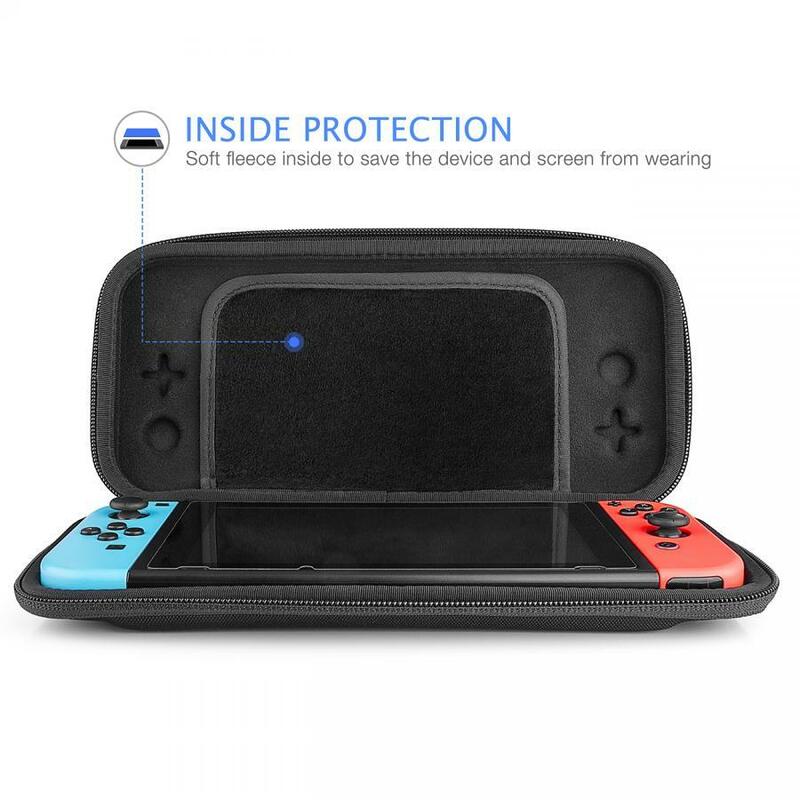 Note: Nintendo Switch not included in the package; Please do NOT put your Switch into the case when it's too HOT after playing. 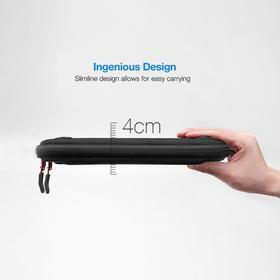 10.2" x 4.7" x 1"